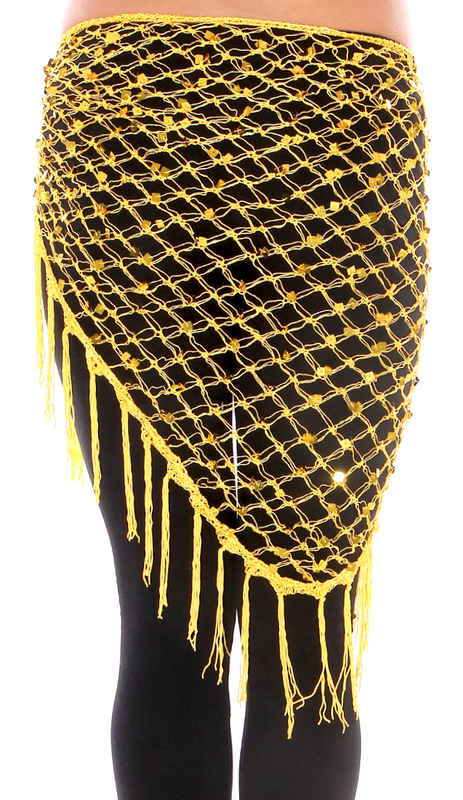 High-quality crocheted net shawl with square sequins is ideal for belly dance, club wear, and layering with your costume. Perfect for Tribal, Spanish and Gypsy styles. This is a vibrant yellow color, (but I was hoping for a light gold as it shows on my screen at least). Nice size and sparkle. A beautiful scarf. Goes with everything. Q: What kind of fabric is this? Cotton, Rayon, Polyester? A blend? Thank you!! A: Hi Rachel, Thank you for your question. 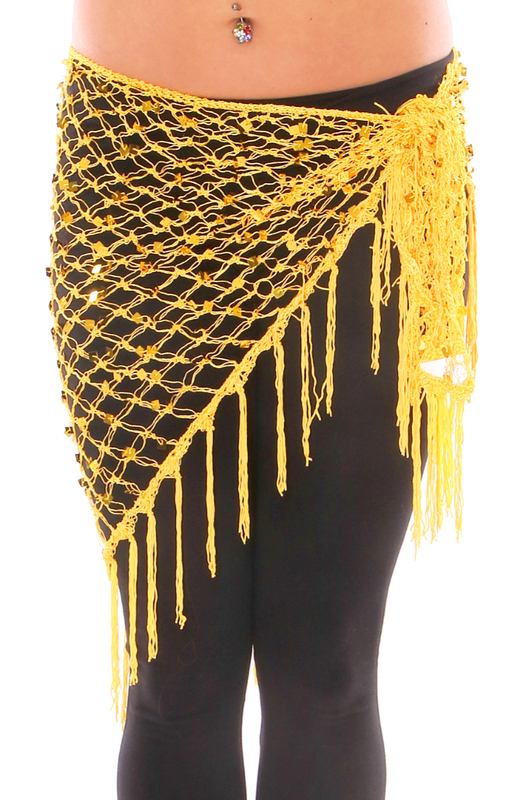 This beautiful net shawl scarf is a Polyester, Rayon Blend. I hope this helps.